Posts about speeding up a pc doesn't mean that your pc is currently performing very slow and you have to speed it up necessarily. It means that You can speed up or tune your computer system For Optimum performance by some trips and tricks that applied. so you get absolutely thrilling computing experience than you ever experienced with your pc.On talking about computer tips to speed up pc performance there are always question about two things that are spyware and adware. What is that? and why should I reremove spyware and adware from my Pc? spyware protection For a pc is essential? and reports information about a computer user without user's permission or concent. 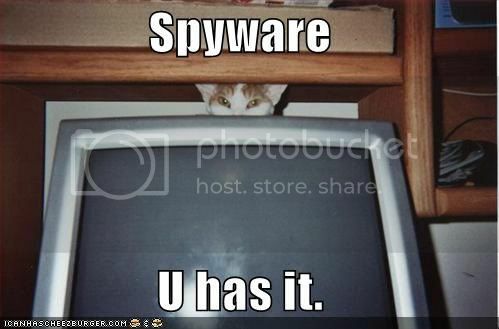 Moreover spyware can refer to a wide range related malware's which has the same effect of spyware in a system.Adware is a software package which automatically displays, download the advertisements in computer system. Most of the adwares are installed in your system while you browse the web with a high speed internet connection or it is added ad an addon of some spyware softwares. According to defenition the spyware, these products perform delivery of unrequested adverising inthe form of pop-up ads, stealing private informations, Installing stealth phone dialers and even redirecting your browser to a virus infecting page.How can we Block Spyware and Adware ? Blocking such programs is essential to keep your personal data from unrecognized use. Also it will help to increase the security of your computer.The easiest way to get ris of these software is to use a spyware detector or an antispyware (both are same up to an extent). Some Antivirus softwares have built in Adware & spyware detection. 1. Install spybot and search for spyware then destroy.